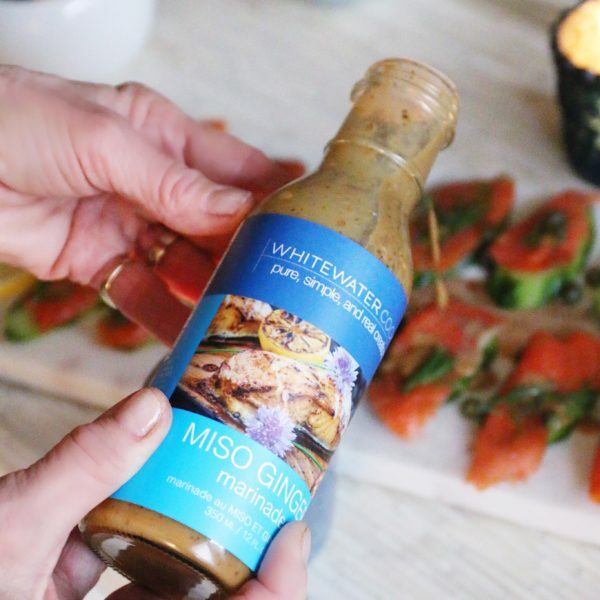 The combination of miso, wasabi, ginger, dijon mustard,soy sauce and lemon juice makes it a perfect marinade or glaze for fish. Also excellent on chicken, tofu and smoked salmon on cucumbers. The recipe was shared by my fisherman friend Blake and he swears by it!